Road/EB, also known as Human, is a symbol of the Road of our Destiny. The glyph illustrates this road on Human’s head. We are in charge of our own road, given the Gift of Free Will. Our destiny is a result of the Choices we Make. In the end, our Choices define the substance of our Life, and Who we Are. Tone 11 brings the energy of Resolution. We are made capable to see where there are adjustments to be made, that would further clarify the Truth of our Understanding. Road/EB can show us that when we walk alone, without an intention of Oneness, our Happiness is all subject to Choices we make from our Lower Self. The nature of the Lower Self is to keep tabs on what seems to be a problem. Operating alone, our Choices are made based on immediacy… without regard for future consequences. We take what we can get now, to the detriment of our own future, all to solve a Fear of the Moment. Road/EB offers us the Big Picture. We are guided to look at our lives as a Whole. Mastering our Self can sometimes feel like an impossible job. I think we all “feel” this sense of Life Being All on our Head. It’s up to us to figure out all the answers. 11 Road/EB tells us this is the Truth. Though, Road also brings the understanding of a Higher Truth of Divine Justice. Our Journey of Life is our Human Destiny. The final destination is up to us. The Maya believed that to arrive in paradise (Tamoanchan), they must pass a test. This is similar to the Egyptian belief, that the Heart must be measured as “light as a feather” to reach the glorious destination. In substance, it meant that they were faultless of any sin or evil. Our Lower Self is burdened by the idea of this impossibility… that every choice of a lifetime must measure up to the standard of perfection. The Higher Self knows that all is made perfect in One Single Choice – a Sacred Intention to be One with the Creator. This is also a Choice that rests on our Head. All the Happiness and Love we hope for, turns out to be the Easiest Choice to Make. We give back the Choice of our Own Free Will. Through Divine Justice we are Blessed with Harmony and Equity. The political circumstances in the USA are hard NOT to address. It’s a matter of personal concern that is in front of us every day. It feels as though the very fabric of our Democracy is at stake, and that the people are stakeholders given no voice. It presents a Fear of our Destiny. I’m still sending postcards to legislators, because its one thing I can do. It’s a burden to my Lower Self to express my feelings where they may be ignored or discarded, but I feel it’s important that someone raise a voice to injustice. It’s a Choice to Speak my Truth to power. We learned about polarity – the principle that love and hate are one and the same, only separated by a matter of degree. We can Choose to see something with More love and Less hate. Another Choice. Road/EB reminds us of our Most Important Choice. It’s not enough to have “good intentions.” Our Intentions must be tested as worthy by Divine Discernment. We can turn our Will over to the Creator, and through a Divine Correspondence, be guided by that One Choice. Road/EB reminds us that we will never see the full picture of our Lives until they are over. What we see today, has little reflection on what we will become. We can think of the many people who have turned their lives around. Through a surrender of Free Will, this can happen as quickly as a lightning strike. In a single moment, we can be made new. Today we can assess the long road of life and see that a Divine Agency works with us to insure a Destination of Love and Happiness. The burdens of our Heart can be made as “light as a feather” to pass the test that would make us worthy to be made One with in Divinity. Every experience can be made worthy by its ability to draw Wisdom. Every Choice has the potential to draw Lightness to the Dark. Road reminds us to mark our milestones of Truth. We can mark the Decision we Made in an Offering of Atonement as the most important milestone to change the course of our Destiny. This is the Choice that Insures a Divine Destination. Our everyday choices can then be made from “who we are today.” By seeking Divine Discernment, our own Choices are higher, and we are always willing to change. Today we are positioned to receive a deeper experience of our understanding. 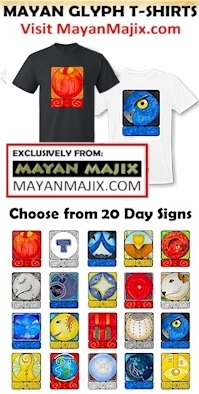 The Cherokee Day Sign, Rattlesnake Tooth, is a symbol of Spiritual Medicine. The tooth of the rattlesnake was used to break the skin, to mark the place and time of a Spiritual Healing. Today we are given Divine Discernment – something that will stay with us as a permanent milestone on the Road to our Destiny. To all my relations, as we hold the ultimate responsibility for our own Free Will, may our most important choice be Atonement. May we grow in Spirit to Trust it and Rely on it as the One Source of Evidence that there is Happiness in our Future – happiness worth waiting for, and investing our Self in. May we make that choice at the beginning of every day, for our own benefit. The Creator only asks that we make it once. Yet, as Humans, we are Blessed by Love in remembering it every day. May we Raise the Collective Consciousness of Love, by seeing this potential for Perfection of All of Humanity.